Bio – Douglas A. Gentile, Ph.D.
Dr. Douglas Gentile is an award-winning research scientist, educator, author, and is professor of developmental psychology at Iowa State University. His experience includes over 30 years conducting research with children and adults. He is the editor of the book Media Violence and Children (2 editions; Praeger Press), and co-author of the book Violent Video Game Effects on Children and Adolescents: Theory, Research, and Public Policy (2007, Oxford University Press). He has authored over 100 peer-reviewed scientific journal articles, including studies on the positive and negative effects of video games on children in several countries, the validity of the American media ratings, how screen time contributes to youth obesity, and what is being called video game and Internet “addiction.” He was honored with the Distinguished Scientific Contributions to Media Psychology Award from the American Psychological Association (Division 46). 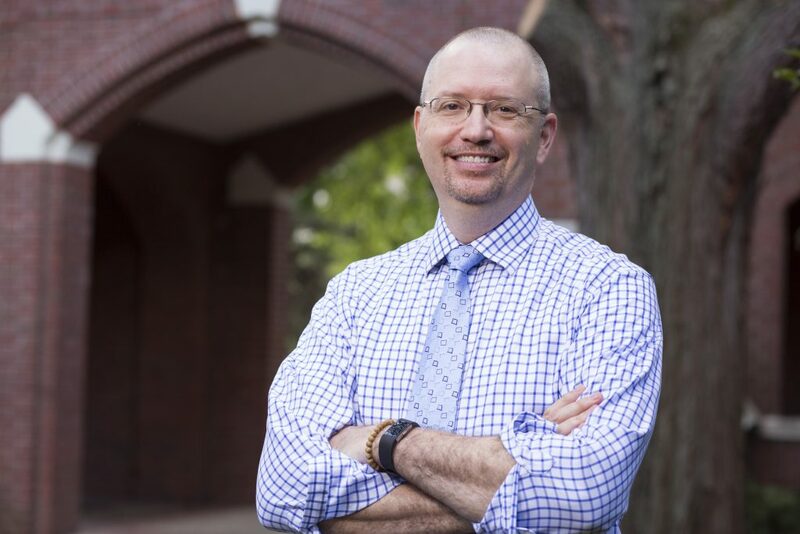 A Fellow of the American Psychological Association, the Association for Psychological Science, and the Society for the Psychological Study of Social Issues, he was also named one of the Top 300 Professors in the United States by the Princeton Review. Dr. Gentile runs the Media Research Lab at Iowa State University where he conducts research on media’s impact on children and adults. As the leader of this effort, Dr. Gentile develops and conducts research projects designed to give parents and other caregivers the kind of information they need and want to make informed media choices for their children. His research has been supported by several grants, including grants from the National Institute of Child Health and Human Development and the Centers for Disease Control. Dr. Gentile speaks internationally to community, education, health care, and parent groups. Praised as an engaging and energetic speaker, he speaks about issues such as the connection between media and brain development, the effects of television and video game violence, the effects of tobacco and alcohol advertising on adolescents, and the psychology of advertising. He has been featured on such radio shows as National Public Radio’s Morning Edition, To the Point, the BBC World Service, and his work has been reported on CNN, Good Morning America, The Today Show, Jo Frost’s Extreme Parental Guidance, as well as the New York Times, Washington Post, Los Angeles Times, and hundreds of other newspapers and television stations internationally. He is the creator and host of the monthly radio show The Science of Parenting. Dr. Gentile received his doctorate in child psychology from the Institute of Child Development at the University of Minnesota. Prior to his work at Iowa State University, he was the Director of Research for the non-profit National Institute on Media and the Family, he worked as a market researcher, a math instructor, and served as test developer and data analyst for Educational Testing Service in Princeton, New Jersey. He lives in Ames, Iowa with his wife Jennifer. Download Dr. Gentile`s curriculum vitae here.